Estimate is based on HBO Now’s iTunes app-store rankings; could increase as Apple's exclusive ends. 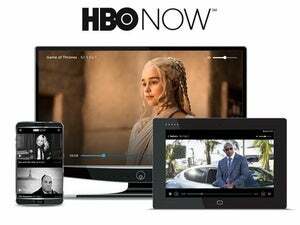 When premium cable network HBO officially unveiled its standalone over-the-top service HBO Now in March, it appeared as if the pay-TV industry’s worst nightmare had just come true. Many pundits immediately saw in it an almost unprecedented destructive potential vis-à-vis the pay-TV bundle. But has it lived up to those lofty expectations in the almost three months that it has been in operation? If a study by BTIG analyst Richard Greenfield is anything to go by, the subscription video-on-demand offering is off to a solid start. He estimates the service has amassed more than 850,000 subscribers, a figure he arrived at using iTunes app-store sales charts. Greenfield began monitoring the HBO Now’s app-store ranking as soon as the $15-per-month pricing kicked in at the end of the month-long free trial on May 7, stopping some seven weeks later on June 26. Greenfield then compared the data he had collected with usage statistics of some of the other popular subscription-based apps to arrive at his estimate. But the above figure does not account for those who may have signed up using an Apple TV or who are using Optimum as their Internet service provider (currently the only ISP to resell HBO Now). Greenfield believes the actual number could well be in the ballpark of 1 million subscribers when all is said and done. Crucially, the Internet and media analyst reckons the vast majority of people who signed up for the free trial have stuck around. Why this matters: This seems to be a solid start for a standalone streaming product that costs $15 per month and is, for the time being, exclusive to Apple devices (unless you're an Optimum subscriber, that is). HBO Now’s arrival on other devices, at the end of the three-month platform exclusivity, could considerably boost its uptake and further accelerate cord-cutting.